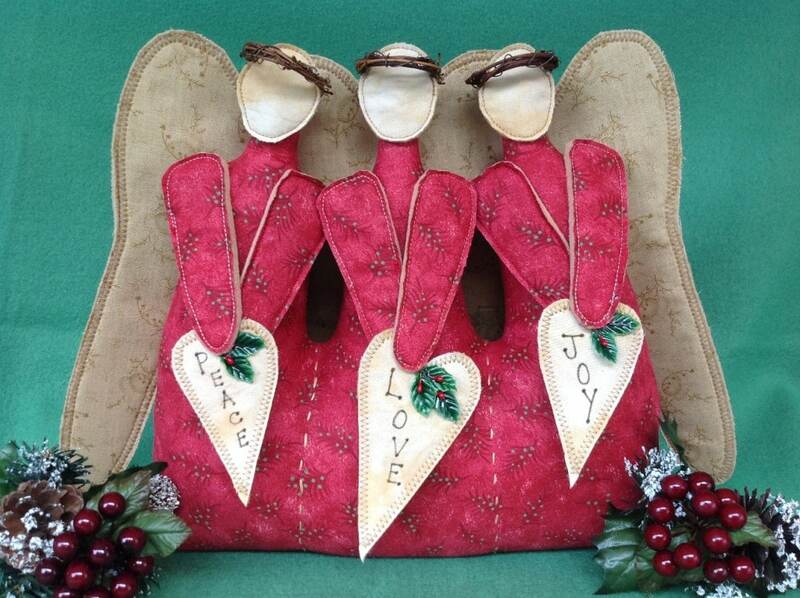 A beautiful handcrafted Christmas décor piece fabric art pattern. Unique in design but surprisingly, very easy to make. Certain to garner many, many compliments. Lace trim is optional. Use lace trim for a country look, omit for a more contemporary piece. The PDF instant download includes detailed, easy to follow instructions. Complete with doll body pattern, wings and heart patterns and a suggested materials list for your convenience. Copyright restrictions: No commercial use. May not be copied, reproduced or mass manufactured. Finished dolls made by you personally and may be sold on the internet and at local craft shows. Please give Fruitfull Hands design credit. 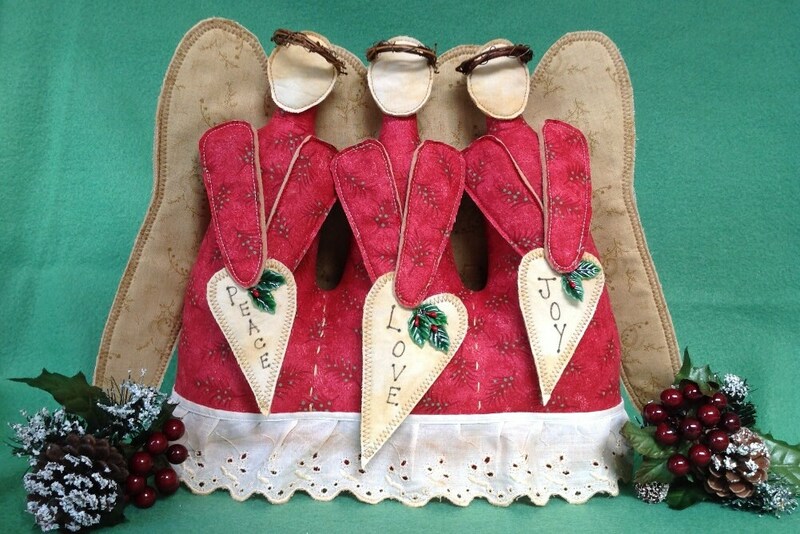 Very different angel pattern for an interesting centerpiece.